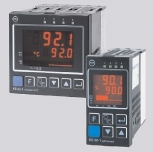 The KS 90-1 process controller is suitable for universal, precise, and cost-effective control. The instrument provides simple 2-point (on/off) control, continuous PID control, or 3-point stepping control. The process value signal is connected via a universal input. A supplementary analog input can be used for heating current measurement, as an external set-point inputter for position feedback measurement of motorised stepping controllers. The optional 3rd input is a universal input that can be used for several functions, e.g. temperature dependent setpoint correction or differential control. 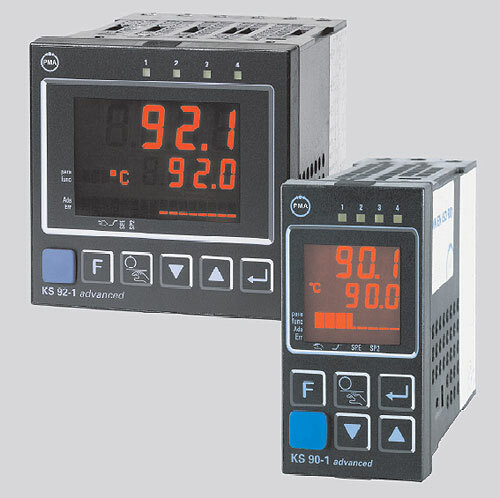 The standard KS 90-1 is suitable for oxygen control using heated and unheated O2 sensors.